Wondering about how to make a flight magazine more interesting and how with such a big target can we aboard themes that everyone enjoys and relates to. I focused on the "trip",&quot; journey" itself. The experience of departure and arrival, going and coming, and how different our moods are in those two moments. Going is about traveling, having new experiences and Coming is about returning to our home, to our space. Based on the idea of departures and arrivals this board magazine is divided in two parts:Going/ Coming. Going is about european cities, travel experiences and tips. Includes a passport of a celebrity in each edition. The passport of "Republic of Travelers" has personal information about that person and their interview. Coming is all about the idea that the best of a trip is returning home. 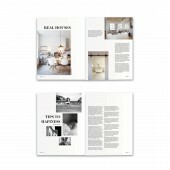 It talks about home decoration, cooking, activities to do with our family and articles to enjoy our home better. Two magazines in one. You start by reading the going magazine and then you have to flip it to read the coming magazine. When both magazines meet there is the index of the two different parts. The project started at April of 2012 and finished at July 2012. On my master in ELISAVA. Making a magazine for an airplane company that had to be interesting to a very big target. Beautifully design and with a very diverse content I had to find a concept that everyone could relate to. 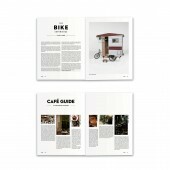 Going/Coming Magazine Magazine by Catarina Jordão is a Nominee in Print and Published Media Design Category. · Click here to register today inorder to be able to view the profile and other works by Catarina Jordão when results are announced. 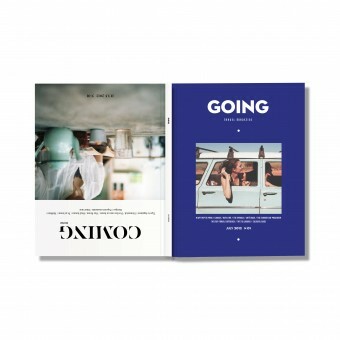 Going/Coming Magazine Magazine by Catarina Jordão is Winner in Print and Published Media Design Category, 2013 - 2014. · Read the interview with designer Catarina Jordão for design Going/Coming Magazine here. · Press Members: Login or Register to request an exclusive interview with Catarina Jordão. · Click here to register inorder to view the profile and other works by Catarina Jordão. Did you like Catarina Jordão's Print Design? Did you like Going/Coming Magazine Magazine? Help us create a global awareness for good print design worldwide. Show your support for Catarina Jordão, the creator of great print design by gifting them a nomination ticket so that we could promote more of their great print designs.